There is a new salon in town, so you know I had to give it a try. It’s called Hernan Prada Hair, Located in Bedford Hills, NY. Prada started his career as a teenager in Argentina and in Spain at the Llongueras International Hair Salon, historically the official hairdressers of Spain’s royal family, before stints at the Jeffry Stein Salon and John Barrett in New York City. 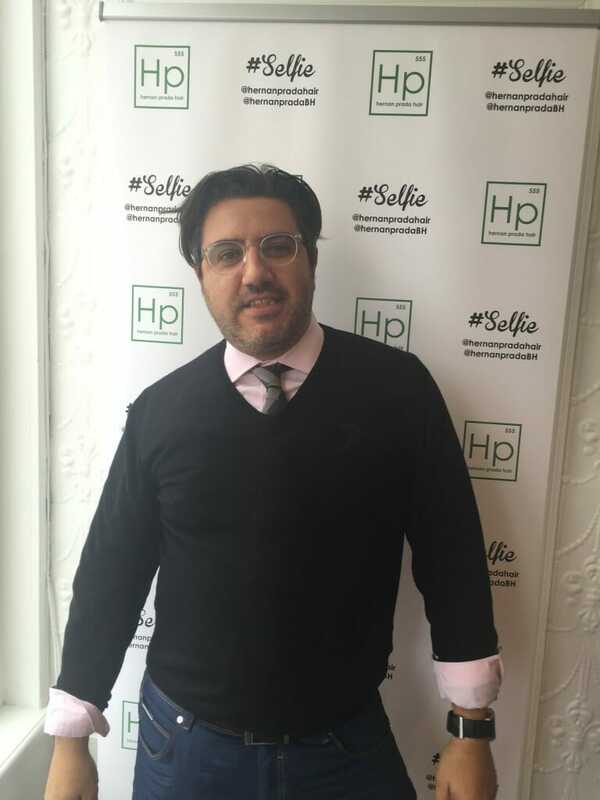 Only open 3 weeks in Bedford Hills, he has been in Westchester since 2004, in Pelham and Scarsdale. I have to say that Hernan Prada Hair feels different than the other salons I have been to. It’s spacious and intimate, both at the same time. Even the sink felt good. Let’s face it, this is my area of expertise. I stopped in for a diffused color and a program haircut with Hernan. Diffused color involves applying a one color process, then immediately applying balayage highlights/lowlights, letting both processes develop simultaneously. HP’s most popular technique, diffused color, gives a beautiful blend of natural looking color. Hernan Prada Hair stylists use a program haircut technique. This technique works with the natural fall of the hair, making at-home styling easier and cutting down blow dry time. Most clients who get their haircuts only need one every two to three months. It’s where high end service meets low maintenance style. By using ammonia-free color and only a gentle lightener, the natural integrity of the hair is never compromised. The less you alter the natural state of hair, the less maintenance is required to keep it that way. The salon is completely eco-friendly. 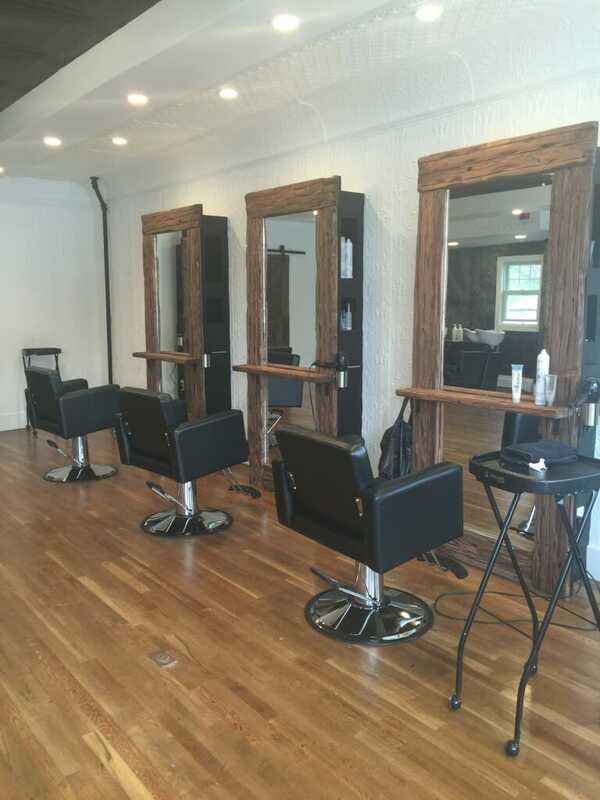 Recycled wood and LED lighting are featured throughout the salon . No itchy color. But your color lasts longer. Balayage gives more dimension without the need for toners. Balayage has been around for a while but this timeless technique is creeping its way back into being one of the most popular hair color requests in salons today. The major benefit of Balayage is it creates dimension for your hair. It’s low maintenance, looks more bespoke, more natural, and is a modern technique that’s much more flattering. Healthy hair is attractive hair and that’ll never go out of fashion. Balayage gives a gorgeous healthy finish that looks nature-enhanced, glossy and expensive. It can be natural or strong, whatever you want. It’s all about the application technique. Balayage is applied on the surface and not saturated through the section until the very tips–otherwise you would have a streak of color that isn’t very soft at all. It can also be called a freehand technique because no foil or meche are used to create the highlights. It’s totally bespoke to you! A good balayage expert (and Hernan Prada is an expert! ), will be able to place the color to suit your skin tone so it’ll look amazing and really light up your features. Now it’s becoming better known because all the models and A-listers are wearing it. Clients are seeing it on the catwalks and red carpets and want to get that finish rather than the uniform highlights that foils give. If he could make the grays from coming back, that would be a miracle. If you’re considering having Balayage done, Hernan is the man !!! About Hernan Prada Hair: Hernan Prada is a full service salon specializing in eco-friendly techniques including Balayage highlights and ammonia-free color. A “healthy hair concept” salon, the goal of Hernan Prada Hair is to enhance every person’s natural beauty from the inside out. 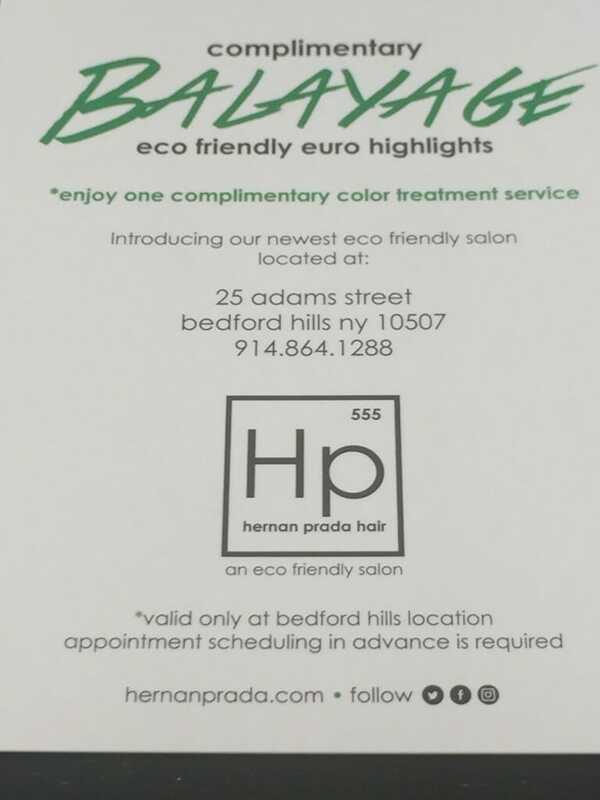 This entry was posted in Beauty, Lifestyle, Westchester and tagged balayage, Bedford Hills, hair, Hernan Prada, westchester. MOTHER’S DAY! Starring Jennifer Aniston, Kate Hudson, Julia Roberts & Jason Sudeikis opens in theaters April 29!